" Deleted File Recovery and Repair for Laptop Hard Drives "
Accidents happen and its reassuring to know help is available. Deleting an important database or document file can be devastating to a company, or cost a student an important grade. 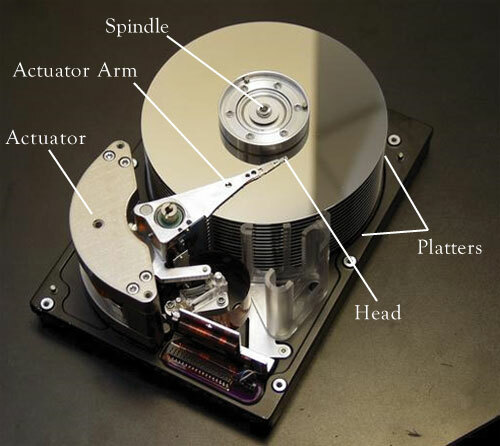 Often a simple hard drive repair is not enough and further work is necessary to provide working data files. Unlike many companies we test recovered data to insure the files function properly. Lost data can cost both time and money to rebuild and often it's just impossible to properly recreate. LDR is a full service data recovery company, which means not only can we repair and recover your hard drive but we also provide file repair and recovery support for most common databases such as Quickbooks, Peachtree, SQL Server and Exchange Server. We are also proficient at repairing MS Office files such as Word, Excel, Power Point and Access database. File recovery is a bit different then file repair. A recovery would indicate the file was extracted from a damaged hard drive and is fully functional. Occasionally we find a file that is corrupted or has been damaged due to sector errors on the recovered hard drive. These files need manual repair work in order to function. While we hope this is not the case we are fully prepared to help you if it is.